Senate Bill 1264 passed 29-2 with the only dissenting votes coming from two physicians: Republican state Sens. Donna Campbell of New Braunfels and Sen. Charles Schwertner of Georgetown. Surprise medical bills, also called balance bills, happen when a patient is invoiced for medical costs insurance providers won’t pay after a dispute with health care providers. The bill often comes as a surprise to patients as some don’t realize they’ve seen an out-of-network provider. Republican state Sen. Kelly Hancock of North Richland Hills said his bill allows for an arbitration process that takes the patient out of the billing dispute, thus creating no surprise bills. The patient, however, is still responsible for copayments, cost-sharing and deductibles. "The whole premise of this bill is to make sure that we protect patients," Hancock said. "We take them out of the process of balance billing, where they don't have to initiate it." Under the state’s current program to address surprise medical bills, patients must request formal mediation by the Texas Department of Insurance. Once TDI acknowledges the request, insurance companies and providers have 30 days to hold an informal telephone conference. If the difference cannot be resolved, then the case is referred to the State Office of Administrative Hearings for formal mediation. TDI has seen an increase in mediation requests for balance billing over the past few years, resulting in a backlog. "Today's vote means we're one big step closer to ending surprise billing for good,” Hancock said in a prepared statement after the vote. 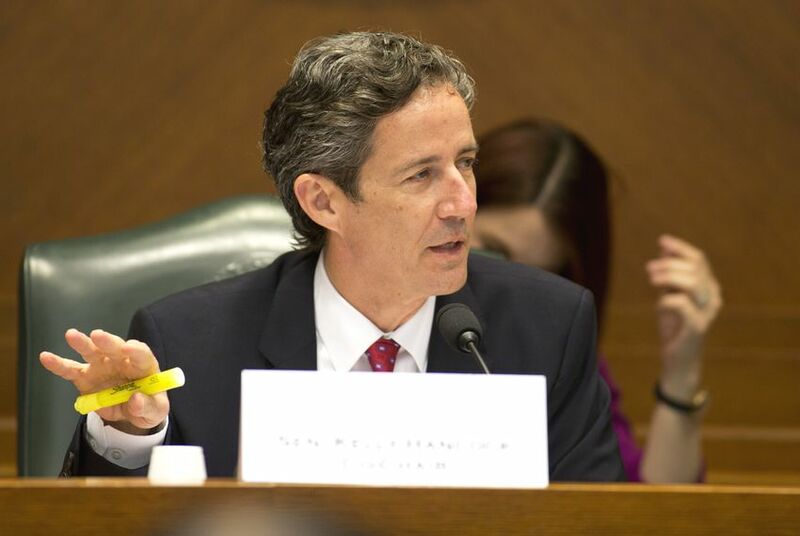 “With healthcare costs skyrocketing, this relief can't come soon enough for Texas consumers." State Sen. Joan Huffman successfully amended the bill to allow Employees Retirement System and Teacher Retirement System of Texas recipients to rely on mediation instead of arbitration to prevent an increase in their premiums, she said. Schwertner offered several amendments, all of them unsuccessful. He said one of the many reasons he opposed the bill was because it allows the attorney general to take action against providers if they intentionally violate the balance bill statutes, but insurance companies are not held to the same standard. The Senate also passed Senate Bill 1530, which Hancock described as a companion to SB 1264. That bill allows self-funded insurance plans to opt into mediation provided by TDI. Both bills now move to the Texas House.